Wastage of water during handwashing is an issue that has received insufficient attention. The problem results from the need to avoid re-contamination of hands during hand washing, and has been addressed by using running water, and not touching the tap to turn off the flow of water during the procedure. This video of a standard non-surgical scrub provides a clear illustration of the problem with 75% of the water being wasted. The volume of water used in handwashing is determined by its duration, the rate of water flow, and how often the procedure is performed. Conservation of water during handwashing can be achieved by the use of various devices to turn off the tap when water is not required. Other methods of water conservation are avoidance of excessively long handwashing, usage of a moderate water flow rate, and the appropriate use of alcohol hand rub. It is hoped that this reminder will help encourage health care workers to conserve water. The online version of this article ( https://doi.org/10.1007/s42399-018-0015-6) contains supplementary material, which is available to authorized users. Wastage of water during handwashing is an issue that has received insufficient attention. There are a few publications on the subject but the extensive WHO guidance on hand hygiene has no section on conservation of water [1, 2, 3, 4]. The problem results from the need to avoid re-contamination of hands during hand washing, and has traditionally been addressed by using running water, and not touching the tap to turn off the flow of water during the procedure. This practice results in wastage of water during the time the hands are being scrubbed. This video of a standard non-surgical scrub provides a clear illustration of the problem. The clock panel on the left shows that water was actively used for only 15 s, whilst in the right panel, the water ran for 65 s. As a result, about 75% of the water was wasted, running directly from tap to drain. The volume of water used in handwashing is determined by its duration, the rate of water flow and how often the procedure is performed. 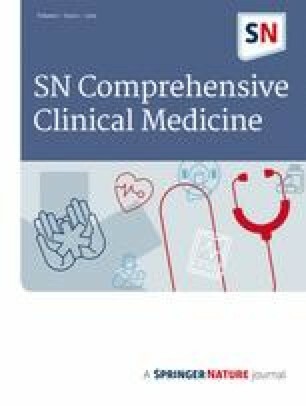 Recommendations for the duration of the non-surgical handwash range from 20 s by the CDC to 40–60 s by the WHO [1, 2, 3, 4]. The ideal duration of a surgical scrub has not been established, in part because it may be related to the type of scrub solution that is being used . However, a minimum of 2 to 3 min is recommended . The advantages of a shorter scrub time include less damage to the skin and water conservation . Alcohol hand rubs are said to be gaining popularity as a surgical scrub replacement as they save time, water, and money . There is however no firm evidence that one type of hand antisepsis is better than another in reducing surgical site infections [7, 8]. Ahmed et al., in a study from Nigeria, recorded a mean surgical scrubbing time of 4.8 min and a mean washing time of 1.4 min . The mean water flow rate was about 4 L per minute; the volume of water used per scrubbing was 20.2 L, compared to 5.9 L actually used for hand washing. Over a 12-month period, the estimated volume of water used for scrubbing was about 200,000 L whilst only 58,000 L (29%) was necessary. Petterwood et al. in Australia reported a saving of 11 L of water or 71% for each scrub when the taps when turned on and off only when required . There are several ways to conserve water during handwashing. Firstly, by turning the tap off when water is not required using a tap operated by foot, elbow, or hand-sensor, or by using a handwashing assistant. The last is particularly applicable in low resource areas, especially in theatre where assistants or “circulators” are usually available and water usage is high. Other conservation methods are avoiding excessively long handwashing, using a moderate water flow rate, and by appropriate use of alcohol hand rub. The video of a standard non-surgical scrub provides a clear illustration of water wastage during handwashing and hopefully will help encourage health care workers to conserve water. Show me the science - how to wash your hands | handwashing | CDC. http://www.cdc.gov/handwashing/index.html. July 22, 2015. Accessed 10th September 2018.
WHO guidelines on hand hygiene in health care. http://www.who.int/infection-prevention/publications/hand-hygiene-2009/en/. Accessed 10th September 2018. The association of surgical technologists (AST). AST standards of practice for surgical attire, surgical scrub, hand hygiene and hand washing. www.ast.org/uploadedFiles/Main.../Standard_Surgical_Attire_Surgical_Scrub.pdf. Accessed 10th September 2018. Tanner J, Dumville JC, Norman G, Fortnam M. Surgical hand antisepsis to reduce surgical site infection. Cochrane Database of Systematic Reviews 2016, Issue 1. Art. No. : CD004288. DOI: https://doi.org/10.1002/14651858.CD004288.pub3. Accessed 10th September 2018. Association of Surgeons of Great Britain in partnership with Royal College of Surgeons in Ireland Consensus statement on cost-effective and sustainable surgery. asgbi_consensus_statement_on_cost-effective_surgery.pdf, May 2012. www.asgbi.org.uk. Accessed 10th September 2018.